The new Swallowtail stamp is a big, beautiful and detailed image! 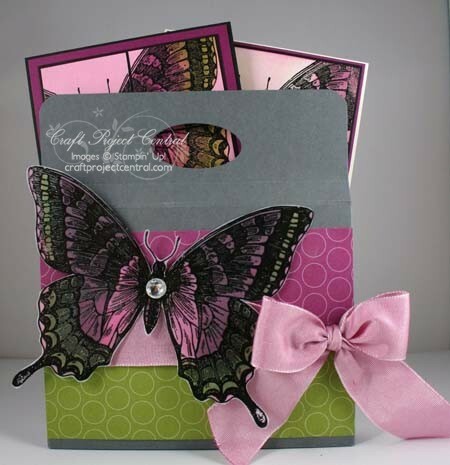 This Swallowtail box and cards set is full of shimmer and shine! The finished project would make a wonderful gift and could also be a fun class for stampers of all skill levels! This strikingly pretty project was made by Sharon Burkert, and you can get the details for her tutorial by subscribing to February over at Craft Project Central!